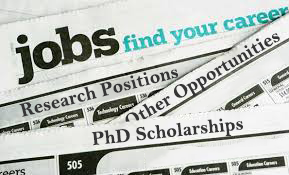 UKCTAS periodically employs research/administrative staff and funds PhD students. Hours: Full-time/Part-time (minimum 29 hours per week), fixed term post until 31 August 2021. Salary: £27025 to £29515 per annum (pro-rata if applicable) depending on skills and experience. Salary progression beyond this scale is subject to performance. Prisoners experience huge health inequalities, and their exceptionally high smoking prevalence (five times the national average) contributes significantly to their high mortality. 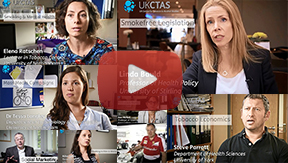 Since the introduction of smoke-free polices across Her Majesty’s Prison and Probation Service (HMPPS) in England and Wales, prisoners are now obliged to abstain from smoking while held in prison. This represents a unique opportunity to promote lifelong cessation in this highly disadvantaged and marginalised group. However, evidence suggests most prisoners intend to resume smoking as soon as possible after release. A systematic review of prison smoke-free polices worldwide concluded that there was a need for new research to identify effective strategies to reduce relapse in these individuals. Document the support provided to manage nicotine addiction during imprisonment and in the periods immediately before and after release; establish the extent to which prisoners intentionally resume or unintentionally relapse to smoking after release; and obtain views on how relapse might be prevented. Drawing on current literature and findings from Phase 1, develop and design an prototype intervention to prevent smoking relapse after release. To pilot the designed prototype intervention and conduct a process evaluation to inform the development of further work in this area. The research will be carried out in three prisons in the East Midlands. The main duties will include recruitment of participants (HMPPS staff members and prisoners), data collection, data analysis, assist with intervention development and refining related intervention materials/resources, co-facilitate Patient and Public Involvement (PPI) groups, contribute to the ethical application for the pilot intervention, and preparation of manuscripts for peer-review publication. As main responsibility of the job is to travel to prison sites throughout the East Midlands, driving licence is essential. Informal enquiries may be addressed to Dr. Leah Jayes, tel: 0115 823 1367 or email Leah.Jayes@nottingham.ac.uk. Please note that applications sent directly to this email address will not be accepted. For more information and to apply click here! To have your opinions heard and to keep upto date with our latest news, follow us on our social sites. For more informative videos see our digital media page.